Is there a batter way to celebrate the 80th years of Jaguar than breaking a Guinness World Record? The Jaguar F-Pace made a gravity-defying entrance last night, withstanding 6.5G while driving around a giant 19.08-metre tall loop (and setting a Guinness World Record in the process). 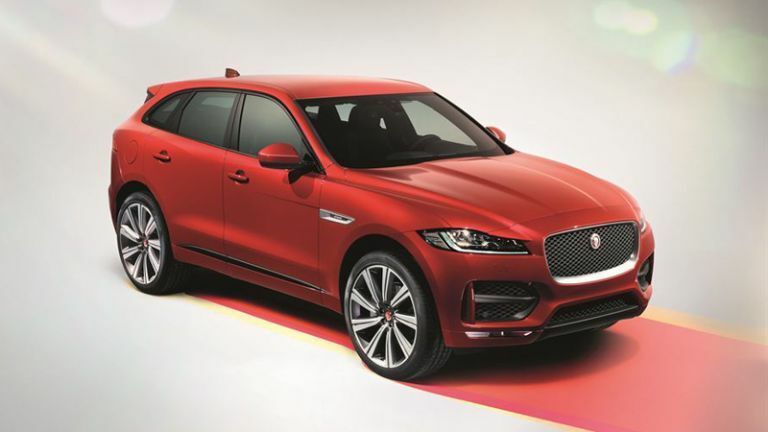 Jaguar is billing the F-Pace as the 'World's most practical sports car, the special 'First Edition' model will feature a 3.0-litre V6 diesel engine, 22-inch Double Helix 15-spoke wheels and a unique metallic paint colour - Caesium Blue. Interior touches include Windsor soft grain leather seats in 'Light Oyster' (you guess is as good as ours), and twin-needle stitching with 10-colour ambient lighting. The F-Pace will feature a state-of-the-art 12.3-inch virtual instrument cluster, and most other pieces of modern car tech you can think of. The First Edition model will be priced at £65,275, with a strictly limited number available. Pricing of the regular models will start at £34,170, and go on sale from Spring/Summer 2016. Performace and economy figures are also impressive, with a 0-62mph time of 5.5 seconds for the V6 petrol version (that's the same V6 as the F-Type, but it's also the thirstiest, returning 31.7mpg), and the entry-level will return 57.7mpg, emitting just 129g/km of CO2, while still hitting 62mph in 8.9 seconds. Will the F-Type be able to rival the Porshe Macan? Only time will tell, but in the meantime, let's enjoy a video of the F-PACE going around a massive loop.